All Floorworld stores are locally owned and operated so you trust that customers will receive the right advice from friendly and local industry professionals. 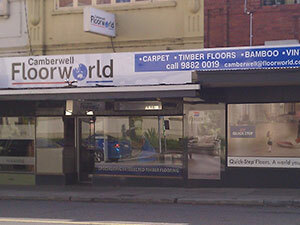 Camberwell Floorworld Gallery offers a wide range of carpets, timber, laminate and vinyl cushion flooring. With a variety of traditional styles and colours mixed with new and innovative concepts, Camberwell Floorworld Gallery has a flooring product to suit any contemporary or traditional style home, as well as commercial applications. Let Adam, Adrian and Dean help you select the perfect style to suit your home with their years of flooring experience behind them. 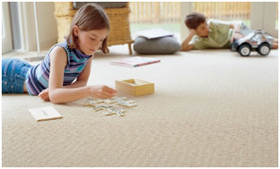 The right carpet can turn any room into a more comfortable and enjoyable space. Floorworld draws its carpet ranges from Australia’s largest carpet manufacturers: Feltex, Godfrey Hirst, Victoria Carpets, Signature and Westwools. With the inclusion of our own Crown and Monarch brands, we can provide a vast variety of colours, patterns, textures and styles in nylon, wool or polypropylene carpet, to suit any budget. The type of carpet that best suits your needs will depend on the size and use of the intended room, your style preferences and your budget. 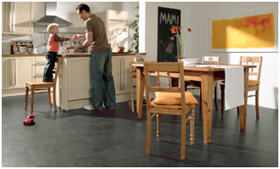 Speak to the experts at Floorworld for all of your carpet requirements. 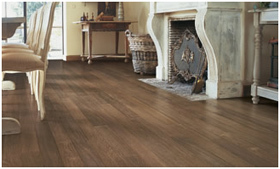 Timber floors from Floorworld - bring the world of nature to your feet. Floorworld has an extensive range of timber floors, from overlay solid timber through to state of the art, pre-finished engineered timber floors and veneer floating floors. The quality of construction and coatings in Floorworld products provide a stable, durable and versatile floor which can bring an effortless sense of style and simplicity to any décor. A variety of stunning wood species are available in engineered flooring from market leader Readyflor, and these are supplemented by the unique species available through Floorworld’s exclusive Gracewood and Kayuna ranges. All Floorworld stores have a wide range of timber flooring on display in their showrooms, to allow you to select a timber product that best suits your needs. Laminate flooring not only looks stylish but is also hard wearing. Floorworld laminate flooring is high wear, scratch and stain resistant – making it an attractive choice for both domestic and commercial applications. 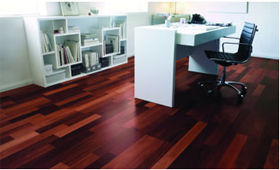 Laminate flooring brings practicality and style to any application. We offer products with a diversity of colours and designs, timber and tile effects, qualities and price points. There’s a laminate floor to suit everyone. Vinyl can bring stylish designs and practicality to any room. Vinyl is an easy to maintain surface, which is comfortable under foot and suitable for many domestic and commercial applications. Vinyl also offers the ability to develop attractive patterns and effects. Check out the latest designs in vinyl cushion flooring at your local Floorworld store - from traditional colours and patterns to new and innovative slate, marble, timber and cork effects. You can even use vinyl to create your own individual designs.